It's not often that the best news of the day is about reruns, but the return of "Arrested Development" is cause to celebrate. The Independent Film Channel has bought the rights to all three seasons of "AD," which will air two episodes on Sundays at 10 pm and Tuesdays at 9 pm. "Arrested Development is one of the smartest and funniest shows of the last decade with a hilarious presentation of absurd family dysfunction," said IFC's executive VP/General Manager Jennifer Caserta. "It's a perfect fit for IFC, which viewers recognize as an authority on what's new, next and relevant in television, film, music, gaming and online, and, more recently, comedy." 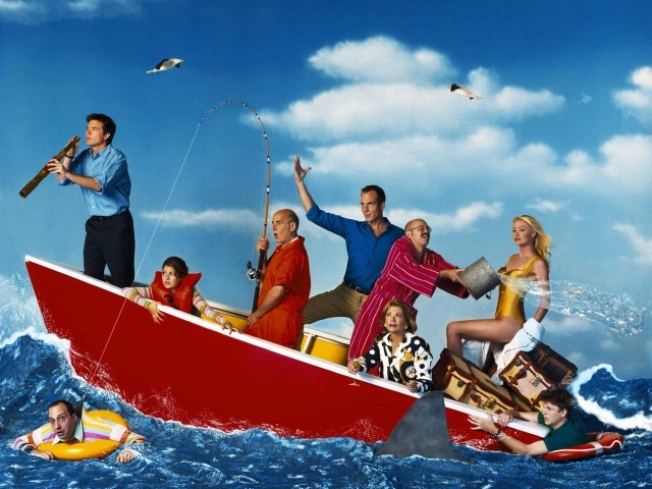 Over the course of 53 episodes from 2003 to 2006, "Arrested Development" was an innovative and hilarious beacon of hope for TV viewers. When the writers learned that they were getting the axe, rather than going out with a "Seinfeld"-ian whimper, they went for broke, crafting a story arc that took meta to a whole new level with its thinly veiled shots at the execs who killed the show and a nation too stupid to appreciate what they were watching. Earlier this month, the show's creator, Mitchell Hurwitz, said he'd finally gotten to work on the screenplay for an "Arrested Development" film. Hurwitz had said in the past he would only bother with such a project if all the show's principals were on board. Apparently Michael Cera -- previously the lone holdout -- finally relented. Maybe he's hoping to recover from the blowback he suffered in the wake of the pseudo-documentary "Paper Heart," that chronicled his courtship of Charlyne Yi. This is IFC's second major comedy acquisition of the fall; the network recently bought the rights to "Monty Python’s Flying Circus" and is currently airing the six-part documentary "Monty Python: Almost the Truth."